Presented here are 20 unique folded business card template designs. Most of the designs you can see on the market revolves around a plain rectangle sized card folded in half. However, this misses the opportunities of using the folded angle to create an interesting design which can spark conversations and discussions. Hence we round up a handful of interesting and innovative folded card designs for you to draw reference and to know what is actually possible. Hopefully, you will be able come up with even more creative ideas after seeing these. 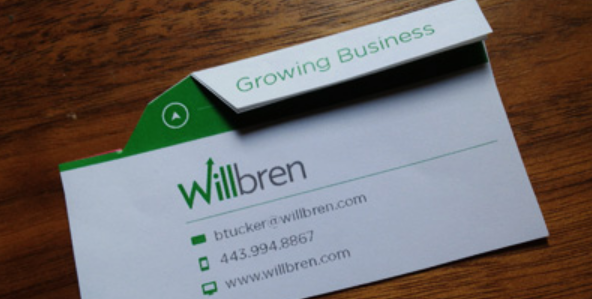 A nice 3D folded business card design. The part with the plane is amazing and highly relevant to the company. I am sure this will be a conversation starter for many. I liked the subtle folded design. It is not very noticeable but you can see it at the bottom right corner. It is elegantly done and one that you can apply to a lot of ideas. 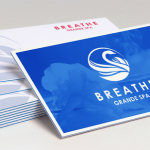 Similar to the Virgin business card, this design also features a 3D effect. Instead of an airplane, a nice butterfly design is used. Apple’s recent iMac business card reflects the foldable concept to the extreme. If you have one of these cards, you can actually fold them into a 3D object as shown in the image above. Ayako Okada is a hairstylist based in Japan. His business is a cool way of showing what he does. In this case, the folding make sense as it allows the character to be 3D. Not sure what is the company behind the card but this is very interesting concept. The card is not only folded but has non symmetrical sides, making the whole concept very unique. This folding card design makes perfect sense and might be the best use of its folded design. Kunetech’s card revealed itself to be a laptop after being open. This is a great representation of what Kunetech’s business does. Bold’s business card has an interesting idea. Once folded, the front and back looks completely different because of the clever use of the monkey’s hair! 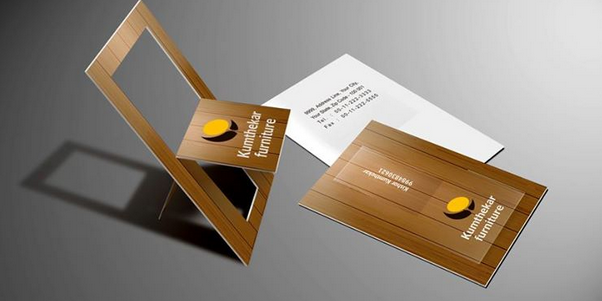 Great use of the folding concept to create this memorable and highly relevant business card for a dentist. Rather than having a double folded business card, why not try a triple folded business card? It looks really nice and unique. The bigger space also enables you to try different concepts than what a smaller space might not allow you to. Here is another example of a beautiful triple fold business card design. The design match the business 100% and is a great way to start a conversation. Here is an interesting use of the folding concept. When unfold, the card becomes a mini tennis court to show users what the business is all about. Very nicely done. Using the folds to see the complete name is a good idea. The whole design is also very minimal, allowing the focus to be on the colors and the name on the card. Kumthekar business card has a unique take on the folding concept. Rather than folding in half, it only allows the middle portion of the card to be folded, which creates a nice swinging effect. A rather different kind of folding concept being applied nicely to the sushi business. In this case, the curved fold represent the sushi being made. Very creative! Created by Tom Wahlin for a competition, it is nice idea for a folding business card. Rather than folding the entire card, only the top part is folded. What better way to use a folding design than to use it as a roof design? The concept above clearly shows how folding can be more than a gimmick. A folded business card that can be transform into an mini gallery or art stand. Perfect for art gallery businesses who want to show a little bit more creativity. A nice folding business card design for government organizations or city planners. The folded card can be unfold to reveal a nice 3D image of a city landscape. Meow! Sorry couldn’t resist. I liked using a noticeable feature, like the tail of the cat, to make the entire business card look more interesting. The 3D folded designs do catch attention, but the I don’t like the three-folded one. It is not too appealing for me. Cool stuff, thanks for sharing great idea about design of business card.. wow..Wonderful amazing designs.. al the designs are beyond our imagination..